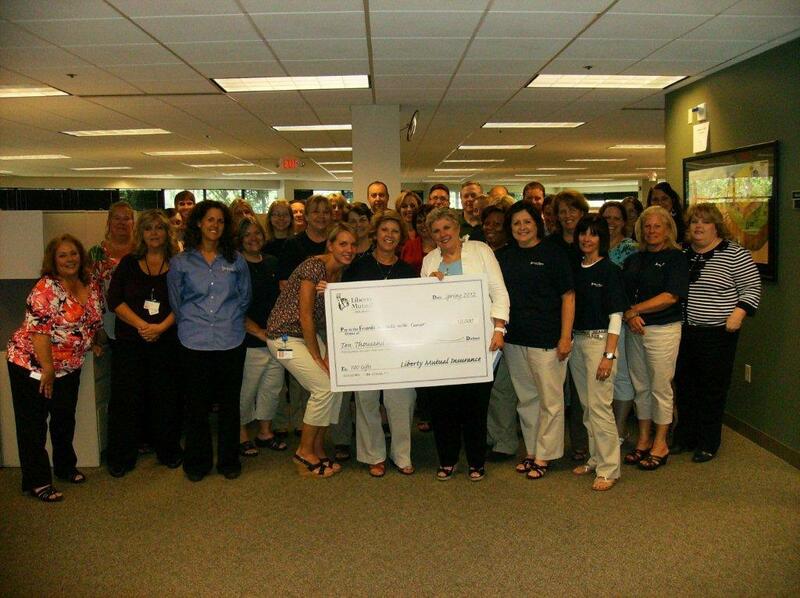 On Thursday, June 14th, 2012, Friends Executive Director Judy Ciapciak thought she was just visiting Liberty Mutual to give a presentation on the organization, and was overjoyed to learn that she was instead being handed a check for $10,000! 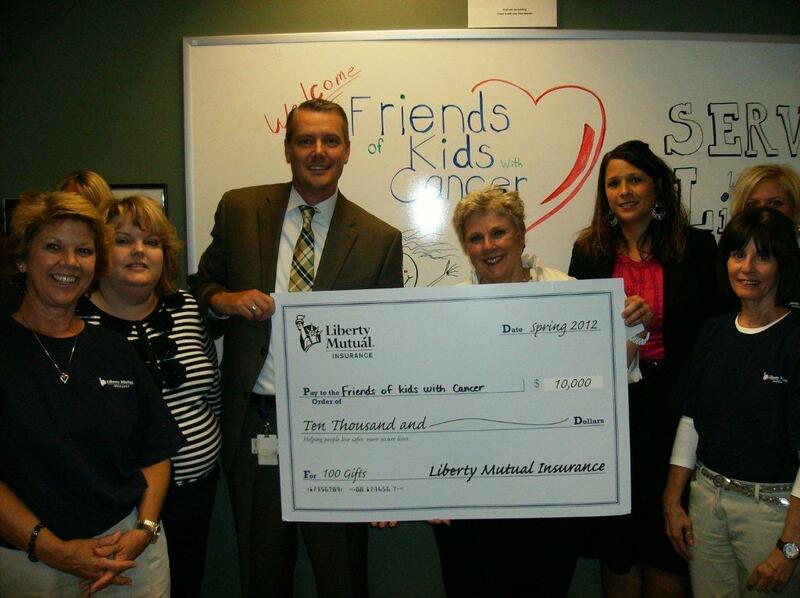 Below you can see the photos of Judy and the Liberty Mutual workers who support what we do! Please take a moment to read a quick note from these great people! As you heard today Liberty Mutual has a long tradition of supporting the communities in which we live and work, so it is our honor to celebrate our centennial anniversary with you. Congratulations on your 20th Anniversary as well. Our office was proud to present the donation to you today and wish you continued success with your organization. 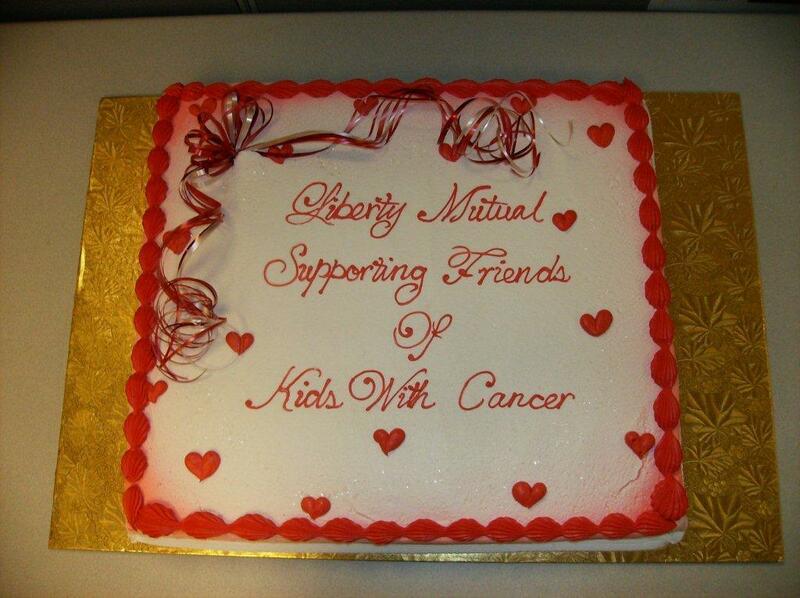 The services you provide to the kids as well as their families is amazing and truly touched out hearts.